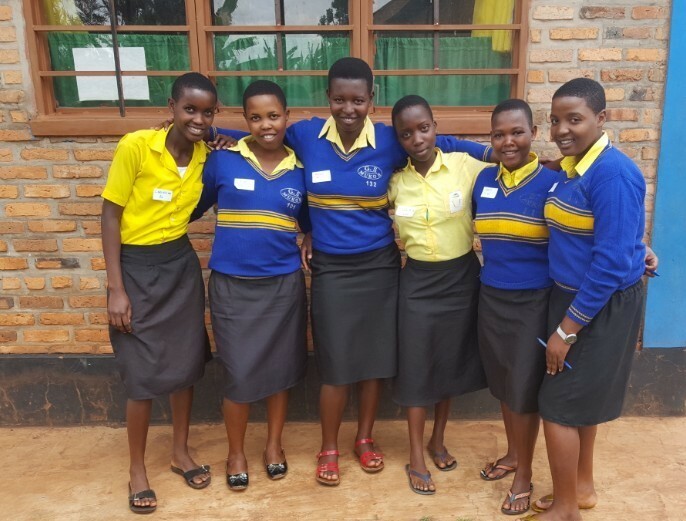 Our branding process all started when I stood outside in front of 200+ girls and boys on the campus of a rural Rwandan school and we began discussing menstruation. I expected to only meet with 8-10 girls when I arrived at the school, but soon learned that it’s very common to receive a warm welcome from the entire school when you’re a new visitor. After an awkward start when my colleague and I began introducing ourselves and what we do at SHE, the mood quickly shifted when one (brave) girl asked a question, “Can I play soccer when I am menstruating?” I’m sure a surprised look came across my face because she asked me the question again. I replied back “Of course, you can!” A sense of relief took over her body. Suddenly, more and more girls asked questions related to what they stopped doing when they had their period – laughing, dancing, riding a bike, doing chores, and going to school. I soon began to realize that girls were missing out on more than having access to a pad; to those who even used menstrual products, they felt like they couldn’t move or do anything because if you’re “sick,” you should just stay at home. It took hundreds of conversations with girls, brainstorms and ideations within the team, and an on-street survey to develop a brand identity that we hope will change the way Rwandans think about menstruation. – go! is bold.We’re rocking bold colors selected by the girls themselves; go! is for girls, by girls. go! 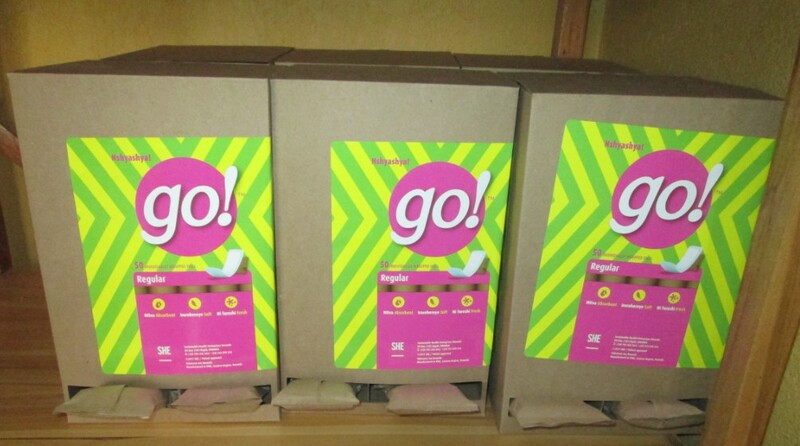 will be delivered to girls this year, and we can’t wait to see their reactions and learn more about their go! experiences. We will be sharing more photos and testimonials about go! throughout the year, so stay tuned. What do you think? Who do you feel we are? Let us know in the comments.